MaRS FinTech is on the road! 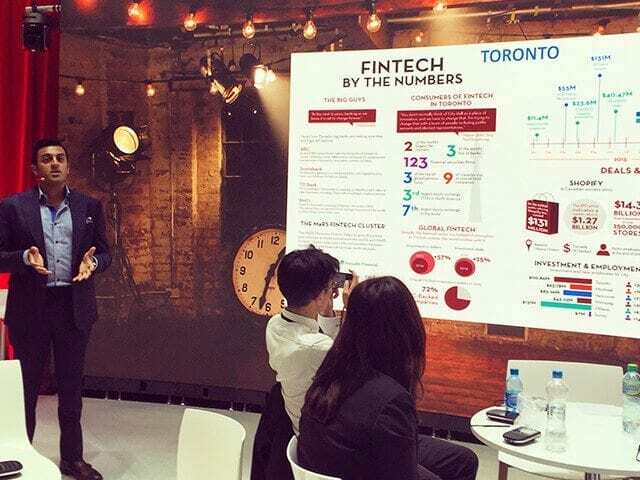 As the Head of Financial Technology at MaRS, I presented a keynote address in Geneva earlier this week on the financial technology landscape in Canada as part of the FinTech Americas session at Sibos, the world’s biggest financial services conference. With a packed session at Sibos, MaRS, in collaboration with SWIFT and Sibos, announced that the Sibos conference is coming to Toronto in 2017. The 2017 conference agenda will focus on digital banking, artificial intelligence and new financial services. Together with the Ambassador of Canada to Switzerland and Liechtenstein, Jennifer MacIntyre, MaRS and the Canadian federal government also co-hosted an event in Geneva that brought together Canadian FinTech executives, entrepreneurs, and investors focused on global innovation. Canada is one of the world’s top FinTech destinations, with cities like Toronto, Montreal and Vancouver leading the charge. In fact, Toronto’s financial sector generates billions in fiscal benefits for Canada and is the second largest financial centre in North America. 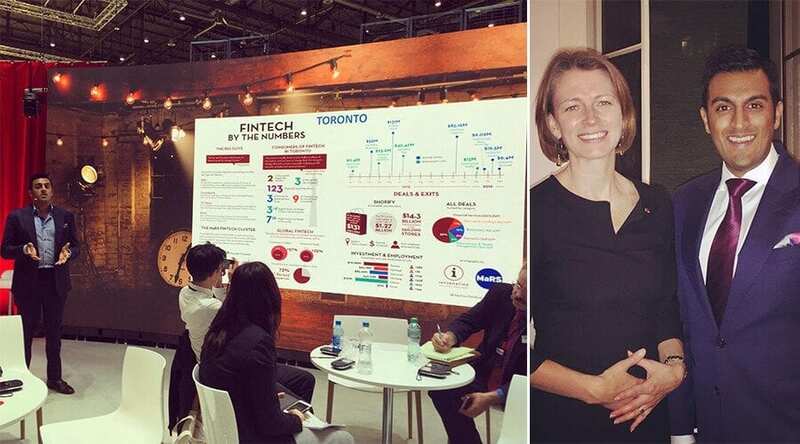 With what is anticipated to be the largest Sibos event globally in 2017, combined with the growth of MaRS FinTech over the past year, Sibos Toronto 2017 is shaping up to be one of the hottest tickets on the FinTech global circuit next year. Want to connect with MaRS FinTech? 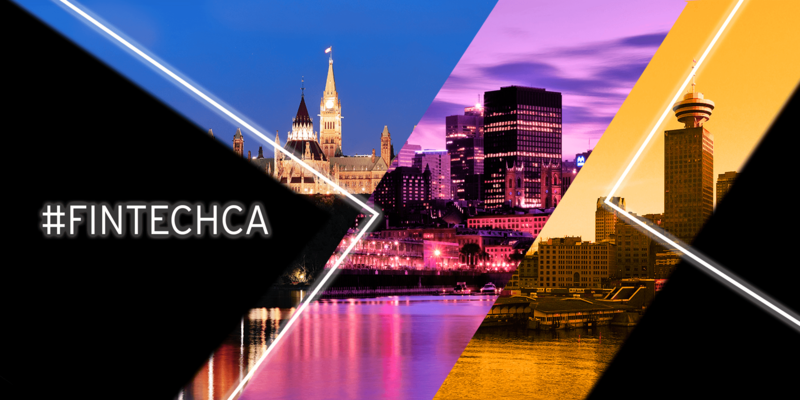 Register for a #FinTechCA event in your city! 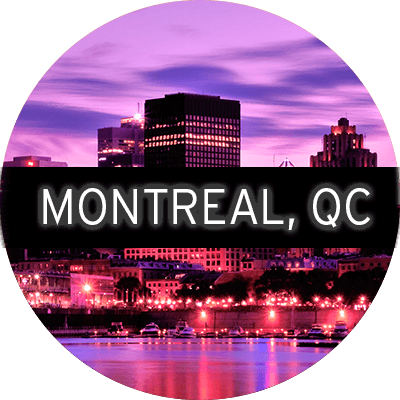 The MaRS #FinTechCA event series is crossing three cities in three weeks—Vancouver, Ottawa, and Montreal—for a national series of fireside chats and keynotes to address the latest technology trends and regulatory changes rocking the financial world. We’re bringing together the FinTech community in Canada like never before, to foster new collaboration, increase community engagement and share knowledge. 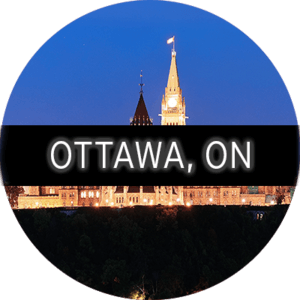 Network with top Canadian venture capitalists, FinTech entrepreneurs and the MaRS FinTech team. If you work in finance or technology, you need to be at #FinTechCA! The #FinTechCA event series hits these cities in October. Get your ticket for one of these can’t-miss events! Speakers include Troy Wright, Lendified; Al Karim Somji, Zafin; Angela Wang, Micro Capital; Peter Misek, BDC IT Venture Fund, David Unsworth, Information Venture Partners; and Ray Gill, Peotic. As well, we’re hosting a special guest: Hon. Michael de Jong, Q.C., Minister of Finance. Speakers include Jay Ferst, Ferst Capital; Abdo Mazloum, OPM Pros, Francois Lafortune, Diagram Ventures & Power Financial; Jeff Mitelman, Thinking Capital; and JC Titus, Ingenico Canada. 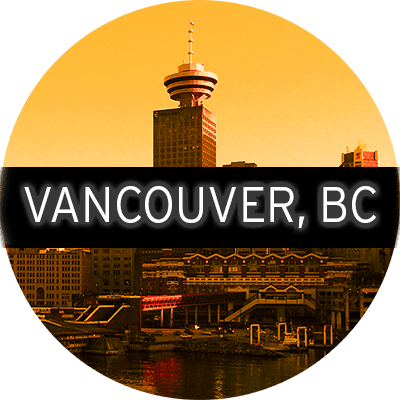 Speakers include Arti Modi, LendingArch; Tim Attia, Slice Labs; Laurence Cookie, nanoPay, Glen Campbell, Finance Canada; and Tom Camps, ChangeJar.